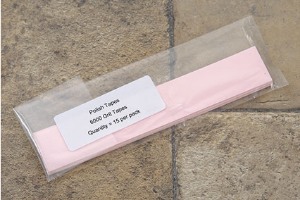 Description: This 6000 grit polishing tape is designed to be used with Edge Pro Sharpening Systems. It should be attached to a Polishing Blank. It is an ideal grit for creating the highly polished, high performance edge, required by professional chefs. A 2000 grit tape will generally be required before polishing to 6000 grit. 0.296875 0.125 296.875 125 Trailer Started. 1 0.703125 1000 703.125 Trailer Completed.